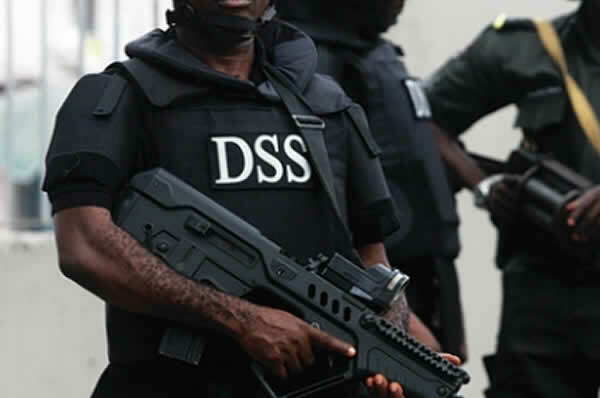 Men of the Department of State Services (DSS) have arrested five persons in Ogbaru market, near Onitsha, Anambra state over alleged diversion of government revenue into private pockets using fake receipts. It was gathered that the suspects were arrested during an inspection tour of the market by the Commissioner for Trade, Commerce, Market and Wealth Creation, Dr. Christian Madubuko. Madubuko told journalists that the suspects were specialists in revenue diversion, saying that they did this by issuing fake receipts which they issued to unsuspecting traders, while keeping back the original receipts belonging to the state government. The Commissioner said he was on an inspection visit to the market when he noticed the fraud and beckoned on DSS officials who accompanied him on the inspection to arrest the suspects. He called for honesty among government agents, saying it was a serious crime to divert government revenues. He further advised the general public to report anybody caught indulging in such acts, stressing that the state government needed money for continuous development of the state, whereas revenues accruing to her were being diverted by people who are being paid.